Bukchon is a picturesque neighbourhood where a large cluster of privately owned Hanok (Traditional Korean Houses) have been preserved for tourists to catch a glimpse of this charming community coupled with its photo-worthy alleyways. It is indeed amazing how Bukchon managed to transform into a place where contemporary society and traditional co-exists, with the introduction of modern architecture to the traditional hanoks. 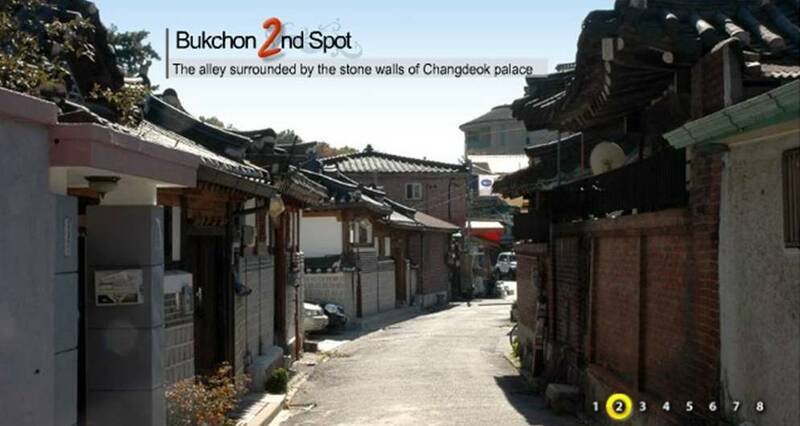 The traces of old roads and waterways, as well as the stone and timber dwellings rewind the present day to centuries ago, transporting one back in time to relive the once glamorous yet forgotten history of Bukchon. It was also interesting to note how Bukchon has transformed with the infusion of cafeterias, restaurants, boutiques and galleries in existing hanoks, resulting in Bukchon becoming one of the most loved cultural spots in Seoul. Bukchon’s uniqueness no doubt comes from the stark contrast between re-interpreted hanoks made of steel and glass and minimalist modern buildings. Bukchon’s unique landscape is undeniably one reason as to why the area is popular amongst photographers. Therefore, it is not hard to notice photographers having their routine photoshoots when you walk around Bukchon Hanok Village. 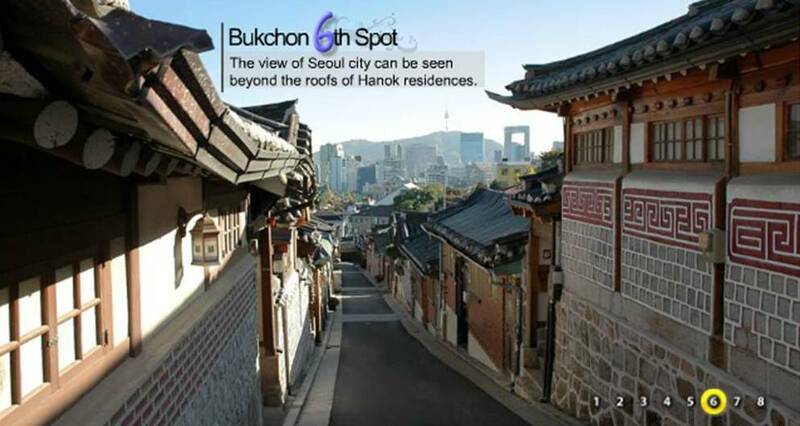 Here at Bukchon, there are eight Photo Spots, commonly known at Bukchon’s Eight Views, where one can fully enjoy the beauty of the hanoks and the alleyways. 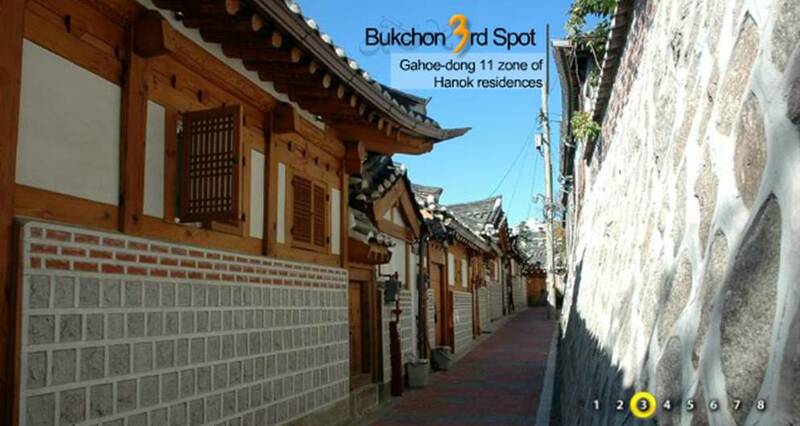 The charm of Bukchon Hanok Village is no doubt the topographical features of the land in which it was built on. 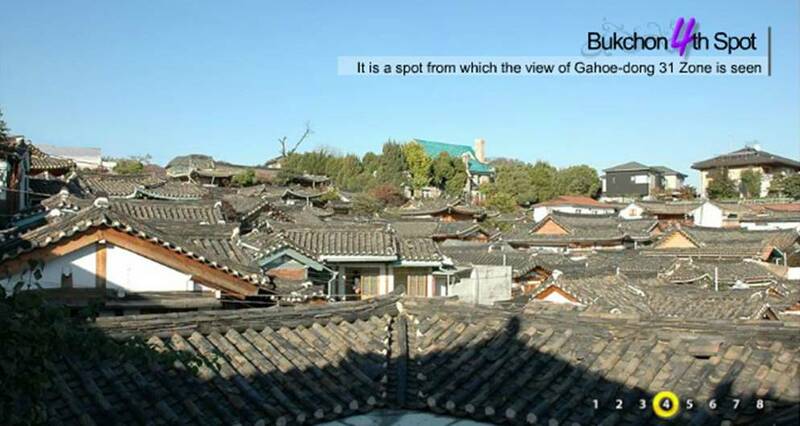 The structural arrangements, layouts and spatial aesthetics all play a major role in the landscaping of Bukchon Hanok Village. How the relatively smaller hanoks somehow embraces the bigger hanoks, while complementing the surroundings. Walking through the narrow alleyways not only takes you back to the past, but also invokes new excitement as every journey through Bukchon Hanok Village brings about a unique experience – how the alleyways coil around like an endless maze, how one hanok looks like another, how a seemingly dead-end meets the main road, how the main street turns into a garden of yet another hanok – while preserving traces of days long past. 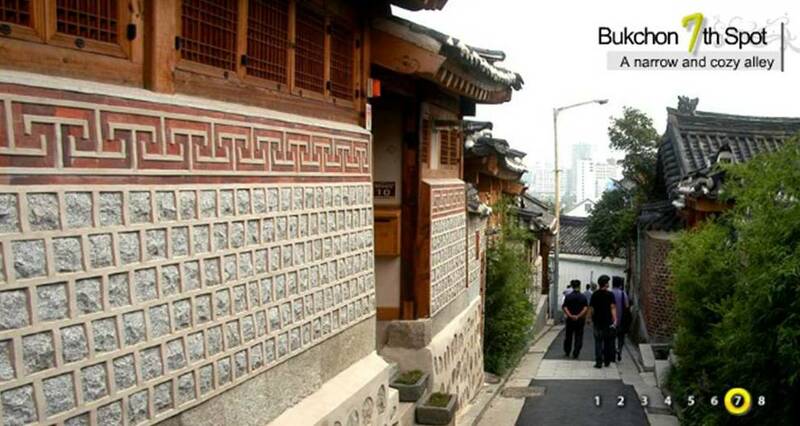 Explore Bukchon Hanok Village by walking freely because you definitely will not get lost as all alleyways lead to either Gyeongbokgung Palace, Changdeokgung Palace or downtown Seoul. What better way to spend a lazy morning or afternoon than at Bukchon Hanok Village, where you get a glimpse of both the past and the present. However, as it involves hours of walking (uphill and downhill), it is advisable that you dress lightly and put on really comfortable shoes. 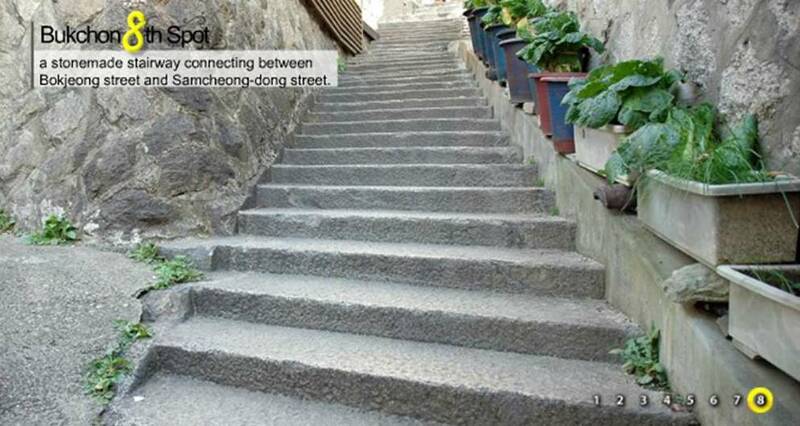 Do remember to bring your camera along too as every street and alley at Bukchon is indeed photo-worthy. Read the rest of (x)clusive’s Surfing The Korean Wave adventure over here, much thanks to the Korea Tourism Organisation!